LAS VEGAS—May of 2013 was not a very fun time to be at Blizzard if you hear Game Director and Vice President Jeff Kaplan tell it. After years of work on Project Titan, the massive MMO that was to be Blizzard’s big follow-up to World of Warcraft, the game had been unceremoniously canceled (though official confirmation of that cancellation wouldn’t come for another year). 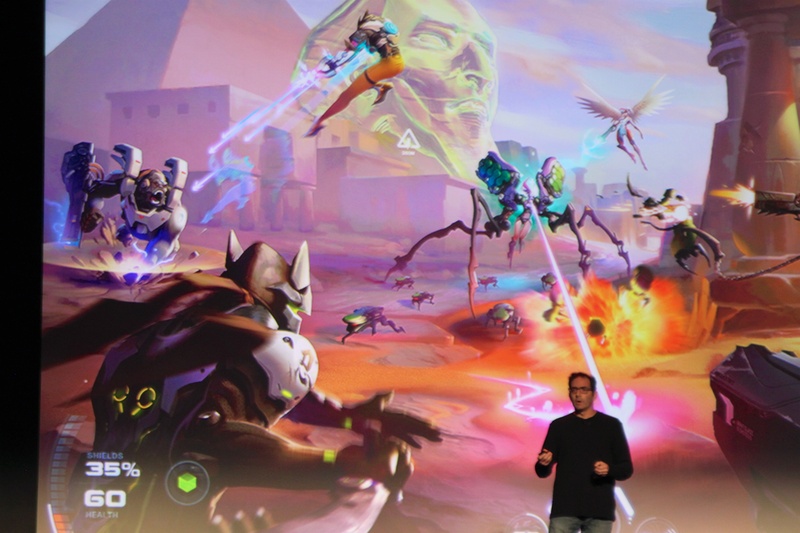 "For various reasons, we ran into a lot of trouble on the project," as Kaplan put it on stage at Las Vegas’ DICE Summit today. In the wake of the cancellation, most of the 140-person Project Titan team was forced to relocate with Blizzard’s existing projects or put on "long-term loan" with those franchises. Forty of the remaining team members, however, were tasked with coming up with a brand-new, Titan-replacing idea in order to avoid the same ignominious relocation as their colleagues.